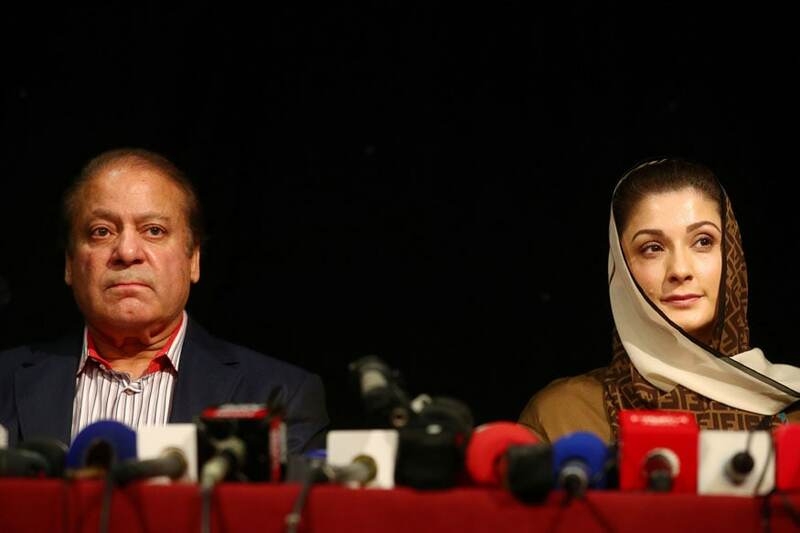 New Delhi: Former Pakistan Prime Minister Nawaz Sharif and daughter Maryam Nawaz were released from jail on Wednesday evening after the Islamabad High Court suspended their jail term in the Panama Papers corruption case. Nawaz Sharif's son-in-law Mohammad Safdar was also released after the court suspended his jail term as well. The court has granted the PML-N leaders bail. A two-judge bench of the Islamabad High Court heard the petitions filed by the Sharifs and Safdar, challenging their conviction related to the purchase of luxury flats in London, Geo News reported. According to reports, as soon as the court issued its order, loud cheers from Sharifs' supporters rang across the courtroom. Sharif's younger brother and President of PML-N, Shehbaz Sharif and other party leaders met the former premier at the high-security Adiala Prison before he was released, Geo News reported. During the meeting, Sharif said, "I have not done anything wrong; my conscience is satisfied." Sharif told party leaders that the Almighty favours what is right and just. "Allah will grant justice to me," he said. The Sharifs were out on parole owing to the passing away of Nawaz Sharif's wife Kulsoom, who had been suffering from cancer for sometime. Justice Athar Minallah read the judgment and suspended the sentences handed to them by accountability court judge Mohammad Bashir on July 6. Nawaz Sharif and Maryam Nawaz Sharif were arrested in July in the Avenfield properties corruption case that came to fore after being leaked in the Panama Papers investigation. While Sharif was awarded 10 years in jail, his heir apparent Maryam was given seven years in the same case.